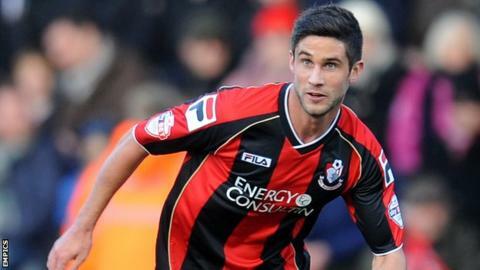 Bournemouth midfielder Andrew Surman says that the uncertainty at his parent club Norwich means he will have to wait to finalise his own future. Surman, 27, has impressed on a season-long loan, and manager Eddie Howe has spoken of his admiration for him. Norwich currently sit in the Premier League relegation zone and recently appointed Neil Adams as manager to replace the sacked Chris Hughton. "My future is still pretty much unknown," Surman told BBC Radio Solent. "I haven't had any contact with Norwich, but I still have a year left on my contract there." Surman, who began his career at Southampton as a trainee, has made 38 appearances for the Cherries this season. He added: "Until I sit down with the gaffer here to see what he wants and then see what Norwich want to do, then I can assess the situation. "As of yet, I haven't really got enough information from either side to see what I'm going to do. "I won't know until a new manager comes in and I've spoken to him. Then I will get a better idea."